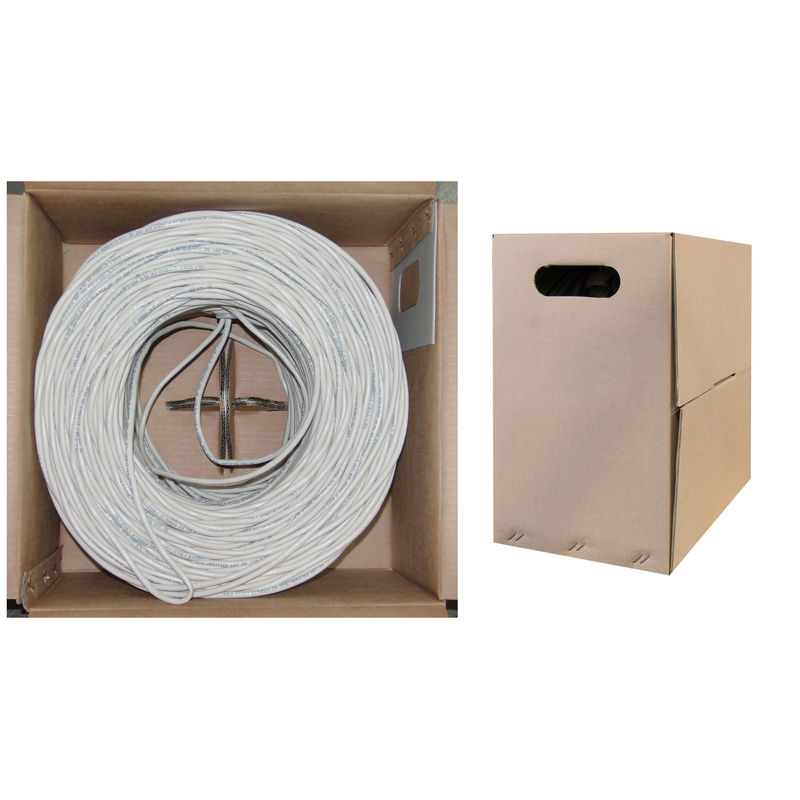 This white bulk 1000 foot solid Cat5e Ethernet cable comes in an easy to use pull box and is ideal for the person looking to make longer permanent network runs during installation/expansion of network infrastructure. 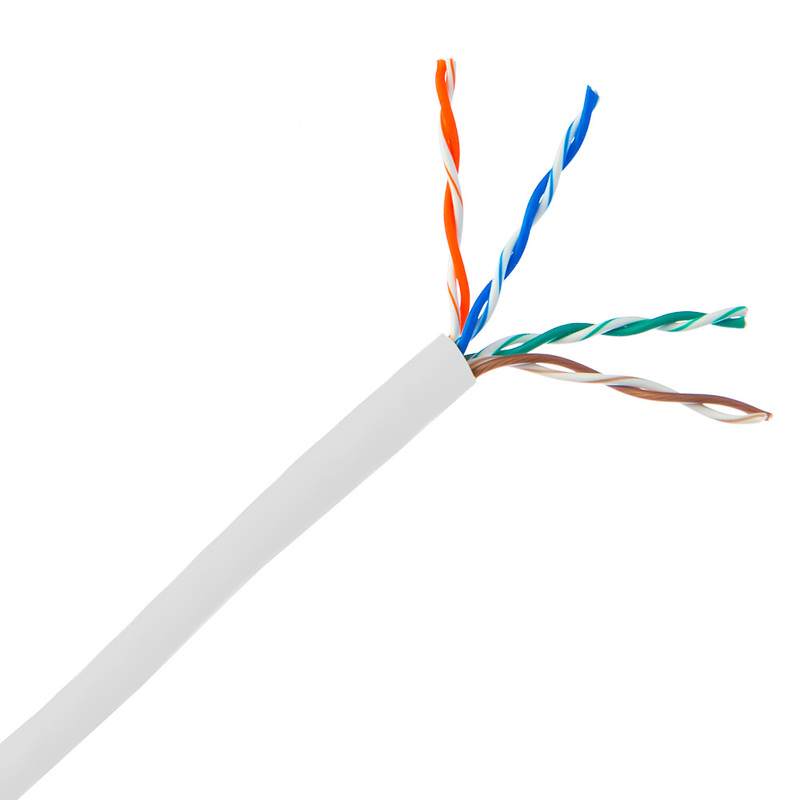 This particular cable is a white UTP (Unshielded Twisted Pair) solid cable. The individual conductors are 24 AWG (American wire gauge) solid pure copper. Pure copper conductors provide the best signal possible. Our Cat5e Ethernet cable exceeds the EIA/TIA-568-C standard. Great cable, great prices and speedy delivery. Highly recommend! Very high quality cable. I was completely amazed that you can sell this quality at that price! Strips easy, VERY bright and easily identifiable color markings even for my antique eyes! Good job! I will certainly recommend you to my friends. Thanks again for a good deal on the cable for my recent project! Good stuff with a nice thick jacket. Better quality than what I can get in town at Lowes hardware store.